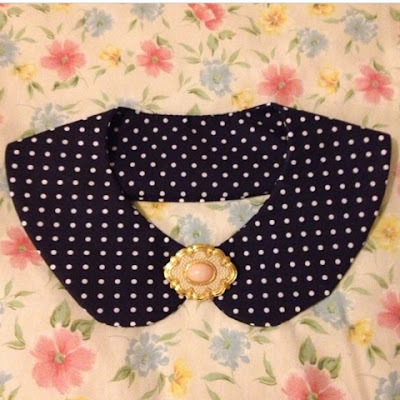 I LOVE collars. From the most basic Peter Pan to the stand out quirky, weird and wonderful. And I'm thinking of the Vivetta ones when I say quirky... oh if only I could afford you hands collar with red nails! 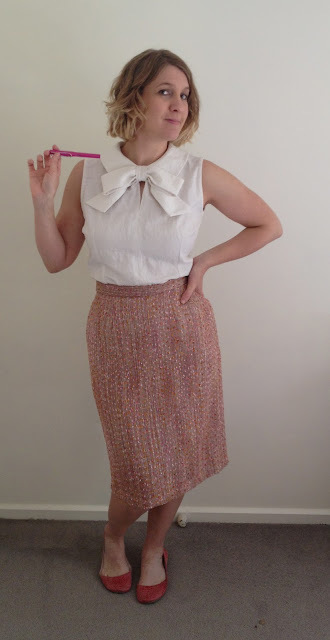 I made this simple Peter Pan collar a while back using a pattern from the Elegant Musings blog. It's a fab stash buster and a speedy little project - I didn't even bother adding the button and loop, I just use different brooches to pin it in place. You can download the free pattern and follow the tutorial to make your own from here. Inspired by this love of collars, I did a bit of Pinterest searching and I saw this blouse and fell in love with it instantly. I clicked straight through to view the post on Amanda's blog, Bimble and Pimble (which is fab by the way). But my mind was set before the page loaded... Simplicity 2154 was my DREAM BLOUSE and I had to make it. 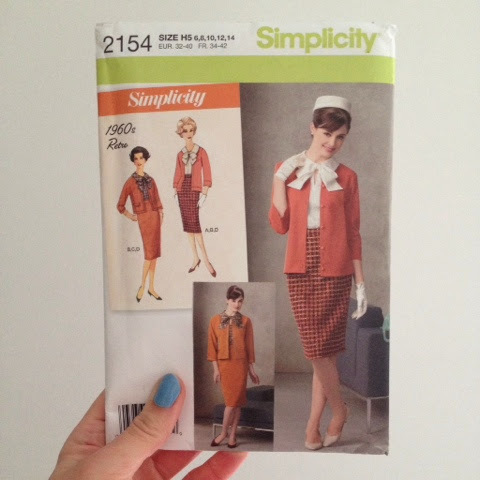 I internet shopped the pattern and a few days later, voila - perfect-vintage-inspired holiday-blouse-to-be landed in my letterbox! The skirt, jacket and cardigan patterns are a bonus and I'll definitely be saving them for winter. P.S. 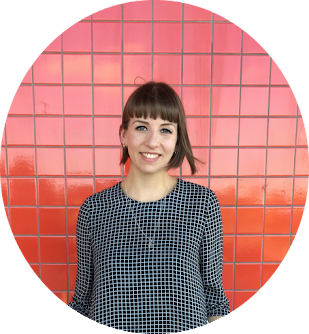 Happy book release day to Tilly Walnes of Tilly and the Buttons! Can't wait to head out and buy Love at First Stitch and get making!